Incredible opportunity in this LEED Platinum townhome w/cityscape, Mtn & Lake Union views! 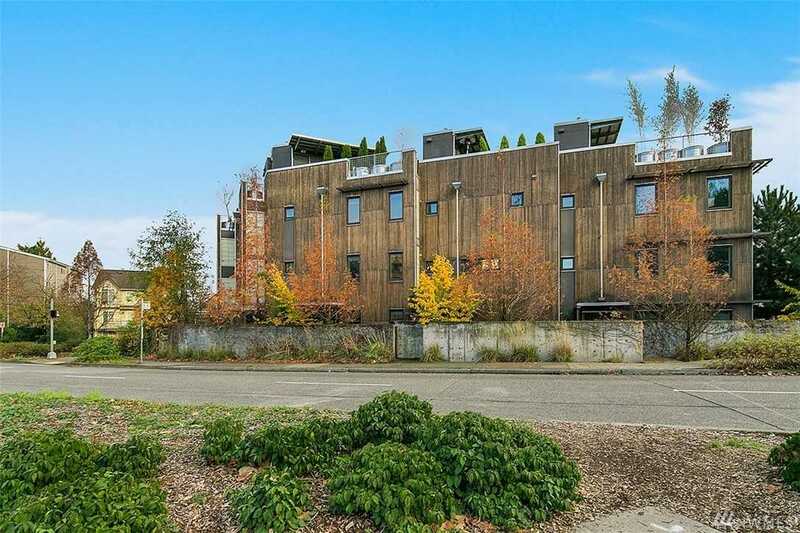 Highlights include smart energy efficient systems, bamboo flrs, view rooftop deck, tall ceilings, built-in speakers, lots of storage & cool, industrial finishes throughout. Kitchen w/tile backsplash, stainless appliances & gas range. Master suite w/en suite bath & large walk-in/utility closet. Near the best dining, nightlife, shopping & farmer's market! Ez access to Google, 99, I5, Dwntwn, SLU & buses. Lot Size: 0.03 Acres / 1271 Sq. Ft. Directions:From Stone Ave, west on 36th, right on Whitman to end of street. From Fremont Ave, east on 36th (past the troll), left on Whitman to end of the street. Enter courtyard on southeast corner of complex. SchoolsClick map icons below to view information for schools near 3655 Whitman Ave N Seattle, WA 98103.